«Let me see that mug of yours». After years of delays and the messiest rollout in recent history, Fergie’s Double Dutchess finally arrived on Friday (September 22). And it’s a lot better than I expected. The rap tracks (“Like It Ain’t Nuttin’” and “You Already Know,” for example) are fire and the accompanying visual album is surprisingly personal. However, as a whole, it just doesn’t have its finger on the pulse in the way that her solo debut, 2006’s iconic The Dutchess, did. The pros and cons of the hitmaker’s new era are summed up in her sprawling “A Little Work” video. Let’s start with the song. “A Little Work” is a cute ballad with an uplifting message, but it sounds extremely dated and lacks the hooks to linger in the minder longer than its four minute running time. If it was supposed to be the “Big Girls Don’t Cry” of Double Dutchess, it fails miserably. On the other hand, it’s possibly the realest Fergie has ever been — opening up about her mental health and the pre-fame struggles she glossed over on the infinitely superior “Glamorous.” That state of affairs is also reflected in the video. Jonas Åkerlund’s sprawling 11:30 minute visual would have made complete sense in 2009 or 2010 at the height of the more-is-more video revival spearheaded by Lady Gaga, but it seems like a relic at a time when budgets are non-existent and major artists are filming videos on cell phones. It also struggles to find the right tone, coming off as unintentionally hilarious during serious moments. However, it sure is interesting to look at and I applaud Fergie for keeping it so real in the documentary segments that appear throughout. It’s a lot to process (the battle scene took me out), but the video had my full attention from beginning to end. I really hope Fergie sees the Double Dutchess era through to completion and then bounces back with new music sooner rather than later. It’s hard to disappear for a decade and still have a feel for what’s hot. Watch “A Little Work” up top. 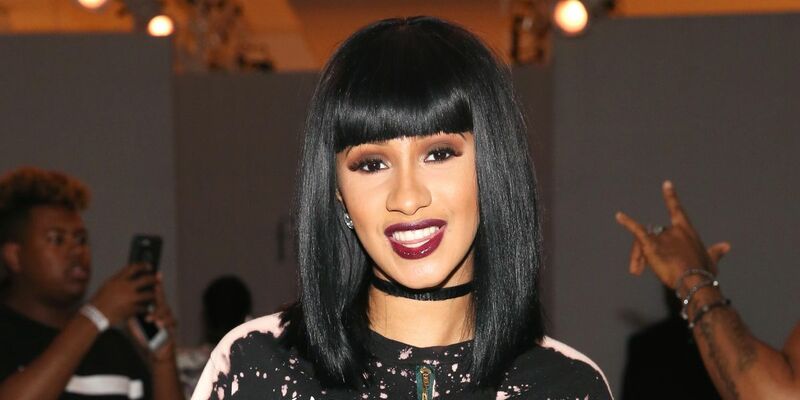 Cardi B dethrones Taylor Swift on the Billboard Hot 100 this week, becoming the first female rapper to land a solo number one hit since Lauryn Hill took “Doo Wop (That Thing)” to the top in 1998. There are layers to the success of “Bodak Yellow,” however. It makes the reality/social media star only the fifth rapstress to nab a chart-topper after Lil Kim’s star turn on “Lady Marmalade,” Shawnna’s feature on Ludacris’ 2003 anthem “Stand Up” and Iggy Azalea’s “Fancy.” (I believe Remy Maalso hit number one with “Lean Back” in 2004 as part of Terror Squad). There were a couple of factors that pushed Cardi across the line. (It was an unusually tight race with Post Malone’s “Rockstar” actually outselling and out-streaming “Bodak Yellow”). For starters, the song was discounted on iTunes and subject to a massive last minute marketing push from Atlantic. Which is just smart business. Things got a little weird on social media, however, with fanbases bounding together to get rid of Taylor and somehow diss Nicki Minaj (who is yet to achieve a number 1). Anyway, the people have spoken and “Bodak Yellow” earns a slice of chart history. Check out the viral video below if you haven’t already. Demi Lovato es una defensora de los derechos de las personas con algún padecimiento mental. Desde siempre la cantante ha usado su posición, pero más allá de una conversación, entrevista o publicación en redes sociales, Demi hará algo más. Global Citizen ha nombrado a la intérprete de Sorry Not Sorry Embajadora de la Salud Mental. En este nuevo rol, Demi trabajará en distintos proyectos que permitan romper el silencio y los estigmas comúnmente asociados a los trastornos mentales. «Es un honor ser la nueva Embajadora de la Salud Mental para Global Citizen. Estoy muy emocionada por el programa piloto que hemos planeado junto a Save The Children en Irak», compartió en su cuenta de Instagram. Como ella lo confirmó, «se enfocará en ayudar a las comunidades más vulnerables en todo el mundo». «Con el apoyo de (Global Citizen) y nuestras plataformas, podré llevar mi trabajo en algunos problemas que me preocupan profundamente, como la salud mental y el bienestar en todo el mundo». En 2011 Demi Lovato fue diagnosticada con trastorno bipolar, desde entonces ha emprendido una imparable campaña para superar el temor a ser señalada y apoyar a otros para que rompan el silencio. «Necesitamos que todos prestan atención y apoyen urgentemente a Puerto Rico y el Caribe con donaciones y cualquier ayuda», dijo la cantante en una conferencia de prensa junto al gobernador de Nueva York, Andrew Cuomo. Jennifer Lopez ofreció este domingo un millón de dólares a Puerto Rico, durante el lanzamiento de una iniciativa del estado de Nueva York para ayudar a esa isla devastada por el huracán María. (Video Así quedó Puerto Rico tras el paso del huracán María). La cantante y actriz, nacida en la ciudad de Nueva York y con padres puertorriqueños, dijo que estaba donando el dinero a varias organizaciones de caridad y que trabajará junto a otras estrellas latinas para ayudar luego de que la tormenta matara a al menos 33 personas en Puerto Rico y Dominica, justo después de la devastación que también dejó en el Caribe el huracán Irma. «Éste fue el huracán más fuerte que ha pasado por Puerto Rico y el Caribe en casi 20 años y los daños son horribles«, dijo Lopez en una conferencia de prensa junto al gobernador de Nueva York, Andrew Cuomo. «Necesitamos que todos prestan atención y apoyen urgentemente a Puerto Rico y el Caribe con donaciones y cualquier ayuda», aseguró en español. La aerolínea JetBlue, con base en Nueva York, también prometió un millón de dólares en especie, al transportar personas y carga para apoyar las labores de ayuda a Puerto Rico, un estado libre asociado de Estados Unidos. Jennifer Lopez fue nombrada copresidente de una iniciativa del estado de Nueva York para ayudar a Puerto Rico, que llega luego de que Cuomo visitara la isla hace dos días para llevar donaciones de agua y comida. Nueva York ha sido históricamente un gran receptor de puertorriqueños que se mudan a Estados Unidos y más de 700.000 residentes de la ciudad de Nueva York se identifican como puertorriqueños, según estudios. «Sabemos cuánta destrucción se produjo y cuán duro va a ser reconstruir Puerto Rico», dijo Cuomo. «También sabemos que dada las presiones financieras que ya estaba atravesando antes la isla, la tarea se complica aún más«, añadió. Caitlyn Jenner is reported shaken by the reports that her youngest daughter Kylie Jenner is pregnant with Travis Scott’s child! Here’s the details on how the trans icon is reacting to the bombshell! Are you blown away by the reports that Keeping Up with the Kardashiansstar Kylie Jenner, 20, might actually be pregnant! So is the rest of the human race! In fact, our sources tell us even Caitlyn Jenner, 67, was shook by the reports! 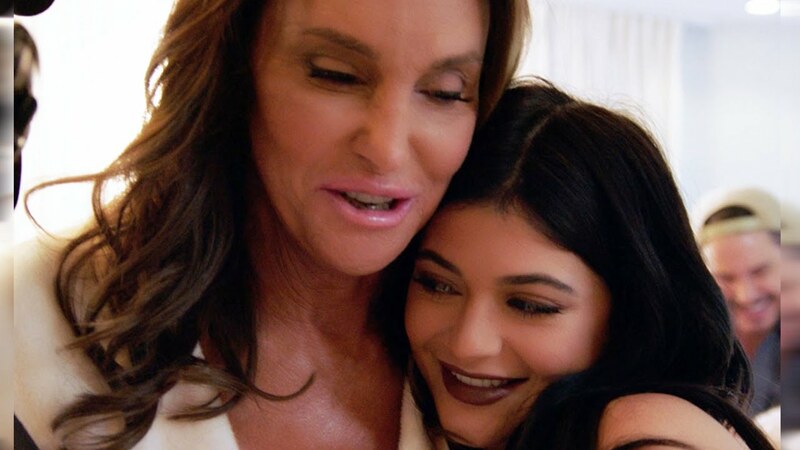 Word has it Caitlyn was hoping that Kylie would wait until her 30s before taking on something as involved as parenthood. Check out loads of Kylie snaps right here! “Caitlyn was really shocked and disappointed to learn that Kylie is pregnant,” a source close to Caitlyn shares with HollywoodLife.com . “She thinks Kylie is way too young to have a baby, and that she should have waited until she was in a long term committed relationship. Obviously, Kylie has more than enough money to ensure that she can pay for help, but Caitlyn still thinks that having a baby will take a huge toll on Kylie’s life. Caitlyn would have liked for Kylie to wait ’til she was in her thirties, but Kylie has always wanted to be a young mom, and she’s crazy in love with Travis [Scott, 25], so she didn’t want to wait any longer. Caitlyn is concerned that Kylie and Travis really haven’t been dating very long, and that a baby will put a big strain on their relationship, but Kylie believes the exact opposite—that she and Travis will be together forever.” Wow! Another insider shared that, despite her misgivings, Caitlyn plans to support Kylie in any way she can. “If Kylie is happy then Caitlyn is happy but she can’t believe her baby is all grown up and having a child of her own,” the second source relayed to HollywoodLife.com. “She wants Kylie to know that she will be there whenever she needs it and hopes for the absolute best but it is still pretty crazy to Caitlyn that it happened so fast. She is still wrapping her head around all of it. Caitlyn definitely has mixed emotions over it all.” This can’t be easy, but it’s encouraging to know that, if Kylie is in fact pregnant, she is surrounded with support! For Kim Kardashian, the road to motherhood has had its share of ups and downs. Kim sat down alongside sisters Kourtney and Khloe Kardashian, Kendall and Kylie Jenner, and their mom, Kris Jenner, for a Keeping Up With the Kardashians10th Anniversary Special — hosted by Ryan Seacrest — on Sunday, and the 36-year-old mother of two reflected on the emotional rollercoaster that came when she learned she was pregnant for the first time. Kim recalled that she and Kourtney were in Florida, filming their spin-off reality series Kourtney and Kim Take Miami, when she found out. At the time, she and then-boyfriend Kanye West weren’t considering children just yet. «I don’t even think we thought of kids. Khloe and I had gone to a fertility doctor, and they said they [thought] it would be really hard for me, so I was about to freeze me eggs,» Kim recounted. For Kim, the happy surprise was initially a cause for panic, and she called Kanye to tell him the news. While Kim and Kanye welcomed their adorable daughter, North, in July 2013, the reality star has been very open about how painful her pregnancy was, and how she struggled with potentially life-threatening complications. However, her pregnancy journey was fraught with difficulty from nearly the beginning. While she shot her reality series with her sister in Miami, she kept the pregnancy news a secret even as she began to suffer painful stomachaches. The doctor told her to come back the next morning, and when she did, it turns out the doctor had been wrong. Kim and Kanye now share two children, North and 1-year-old son Saint, and the reality star says she remembers not wanting her kids to be on the family’s reality franchise at all. «It’s never a story revolving [around] them or about them, or anything too personal,» Kim added. As for Kourtney, who shares three children with ex-boyfriend and KUWTK co-star Scott Disick, the situation has always been a little more fluid. «I think the boundaries are always changing, as different things are going on in our lives,» Kourtney said, referring to her 7-year-old son Mason, 5-year-old daughter Penelope, and 2-year-old son Reign. «We know that we signed up for this, but our kids did not,» Kim added. It’s been reported that Kim and Kanye are currently expecting baby no. 3 via a surrogate, and that they will be welcoming a baby girl in January. The couple have yet to officially confirm the reports. Hace ya mucho que no nos referimos a Millie Bobby Brown como «la niña de Stranger Things». Y es que la joven actriz, pese a sus trece años, ha conseguido hacerse un hueco entre las celebrities más admiradas, por su talento, su sentido del humor y por seguir, en realidad, siendo una niña. Sus más de cuatro millones de seguidores en Instagram son buena prueba de su popularidad, y ellos fueron precisamente quienes pudieron verla convertida en una Brooke Shields del siglo XXI, parodiando el (quizá) anuncio de vaqueros más famoso de la historia. En el vídeo, repite el mismo mensaje que decía Brooke en 1980: «Cada vez que tengo algo de dinero, me compro unos Calvins. Y, si me queda algo, pago el alquiler». La propia Brooke Shields la felicitó en un comentario al vídeo, diciendo que estaba obsesionada con verlo una y otra vez. Ambas forman parte de la familia Calvin Klein, y pudimos verlas recientemente juntas en el front row del desfile del diseñador durante la pasada New York Fashion Week. Aunque lo negaron, las últimas fotografías revelan que el ex Kourtney Kardashian sí tiene una relación con la joven de 19 años. Tras desmentir en varias ocasiones que entre ellos existiera algo más que una simple amistad, Scott Disick y la joven Sofia Richie parecen haberse rendido ante la evidencia: que resulta imposible seguir negando su romance después de que en las últimas semanas los hayan fotografiados juntos y en actitud muy cariñosa en varias ocasiones. El pasado jueves ambos disfrutaron juntos de una noche de fiesta en el club LIV de Miami en compañía de Travis Scott y Jonathan Cheban, dos de los allegados al mediático clan Kardashian/Jenner. Unos días después, concretamente el sábado, la pareja fue vista paseando de la mano por la playa antes de unirse a un grupo de amigos para disfrutar de una jornada a bordo de un barco, donde los paparazzi consiguieron captar a Scott abrazando a Sofia -la hija menor del veterano Lionel Richie- e incluso agarrándole el trasero. Esa misma noche, los dos acudieron a un restaurante en el que, como postre, les sirvieron un pastel con un misterioso mensaje de enhorabuena dirigido a los dos, aunque por el momento no ha trascendido qué estaban celebrando exactamente. Sin que ellos se lo propusieran, esta escapada ha acabado siendo mucho menos privada de lo que probablemente hubieran deseado, no solo por la presencia constante de los fotógrafos, sino por la falta de discreción de algunos de sus acompañantes, que no dudaron en publicar imágenes y videos en sus redes sociales en los que se les veía juntos. De hecho, uno de ellos compartió una instantánea en la que ambos aparecían besándose claramente. Ante estas pruebas irrefutables, Scott y Sofia parecen haber decidido dar un paso más en su relación apareciendo por primera vez juntos en sus respectivas cuentas de Instagram. Pese a que en las imágenes no se muestran tan cariñosos como en la vida real, en la que ha publicado él se le puede ver abrazando a la joven de 19 años por la cintura y con el rostro apoyado en su cuello. Hace apenas unos meses, Sofia afirmaba en el mismo medio que los rumores sobre su romance con Scott eran falsos: «Antes de que nadie se vuelva loco, Scott y yo solo somos amigos #Relax (sic)», aseguraba a todos sus seguidores en Twitter. Liam Payne’s next single, «Bedroom Floor» — his girlfriend’s favorite track — is coming Oct. 20, he revealed in a tweet Saturday (Sept. 23). Yes, that is the same day his former One Direction comrade Niall Horan will release his debut solo album, Flicker.